May 25, 2017 Offit Kurman is pleased to announce that 13 of the firm’s attorneys in Pennsylvania and Virginia have been named to Super Lawyers and Rising Stars lists in 2017. The news follows recent periods of vigorous growth at the firm’s locations in the two states. Offit Kurman recently opened an office with three attorneys in the Philadelphia suburbs; meanwhile, three more lawyers affiliated their practices with the regional office in Tysons Corner, VA, where the firm was also just appointed Special Counsel to the Commonwealth of Virginia and the state’s Department of Transportation. Offit Kurman’s Virginia and Pennsylvania attorneys on the Super Lawyers lists join their 26 colleagues in Maryland who have achieved equivalent distinctions. For more information about the Maryland lists, click here. 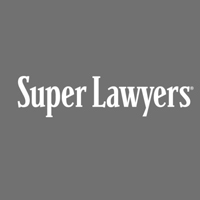 A complete rundown of Offit Kurman attorneys named to the 2017 Super Lawyers and Rising Stars lists can be found below, categorized by state.